Improving the business environment for SMEs and accelerating the process of completing a competitive and fair Digital Single Market are among the main goals of the Bulgarian presidency (the Presidency) that started on the 1st of January. Announced early this year, Bulgarian presidency’s work programme puts forward digital economy as one of its key priorities. Bulgaria promises to focus its efforts on ‘achieving maximum progress on all dossiers related to the Digital Single Market Strategy’. 1- First of all, Bulgarian presidency revokes ‘Think Small First’ principle that was developed by the European Commission a decade ago. It means that policy makers will be thinking of SMEs’ needs at the early policy development stage. The Presidency has made its promise to develop alternative sources of funding and improve the business environment for SMEs, keeping ‘Think Small First’ principle in mind. 2- Second, the Presidency will seek to ensure a ‘fair and efficient taxation of corporate profits’ which supposes a progress on the files related to digital taxation, and fair taxation of digital platforms. Progress in this field would grant easier and fair competition for SMEs in the European market. 3- Moreover, Bulgaria emphasizes its focus on legislative debates on the e-Privacy and electronic communications. Although it seeks to guarantee the protection of citizens’ privacy, personal data and of the confidentiality of communications, it also aims to encourage development of the European data-based economy. The Presidency claims its determination to find a compromises that do not undermine digital innovation and business models of digital companies. Thus, digital SMEs can hope for less rigid rules and less overregulation regarding e-privacy. 4- At the same time, Bulgaria also pays attention to the free movement of non-personal data. Its goal is to remove unreasonable barriers that are disturbing the free movement and at the moment. 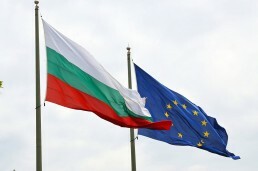 Bulgaria will put its efforts to mediate the discussions between the Council and the Parliament. This would help digital SMEs whose core business is in data-related sectors to reduce their costs and get a more competitive market position. 5- Further emphasis will be put on the digital skills and competences, especially in the context of education, training, employment and youth policies. Bulgarian presidency will continue to support the successful continuation of existing initiatives (such as Digital Opportunity, national and European Digital Skills and Jobs Coalitions, etc.). What is more, it will also pay a particular attention to the digital skills and modernization of education in an interim review of Erasmus+ programme. 6- Finally, the Presidency has set a goal to make a significant progress in the Copyrights Directive. Companies that rely on the text and data mining (TDM) as one of their data analysis methods have been lobbying for TDM to be exempted from the copyright requirements. Constructive changes in this respect are also possible because Bulgaria has stressed its ambition to balance between the interests of rightholders and needs of entrepreneurs in order to ensure a positive environment for innovation and digital business.